LOS ANGELES -- Steve Ballmer officially became the new owner of the Los Angeles Clippers on Tuesday for a record $2 billion. "We were ready," Streisand said. "Within minutes, the deal was signed, sealed and delivered." Doc Rivers would possibly have quit as coach if Sterling remained the owner, interim CEO Richard Parsons had testified. All-Star point guard Chris Paul, who also is president of the Players Association, might have sat out and convinced other players to join him. Sponsors who already started to flee after a recording of Donald Sterling making racist comments was released might have stayed away for good. None of that appears to be a problem with Ballmer taking over what could be a powerhouse team next season. By agreeing to the record purchase price, he's already proven he's willing to spend in contrast to the famously frugal Sterling. The transaction ends Donald Sterling's run as the longest-tenured owner in the NBA after 33 years. After buying the Clippers in 1981, he moved the franchise from San Diego to Los Angeles three years later. The 80-year-old real estate mogul has been in probate court fighting his wife's proposed deal to sell. At issue was whether Donald Sterling killed the deal by revoking the trust after his wife removed him as a trustee. Shelly Sterling acted after doctors found Donald had symptoms of Alzheimer's disease. The drama began in April when the recording surfaced of Donald Sterling dressing down his girlfriend for bringing black men to Clippers games. The audio spurred the NBA to ban Sterling for life and fine him $2.5 million. His wife of 58 years then took control of a family trust and negotiated the $2 billion sale of the team to Ballmer. Shelly Sterling said she was initially given her husband's blessing to sell the team and he praised the deal she reached. 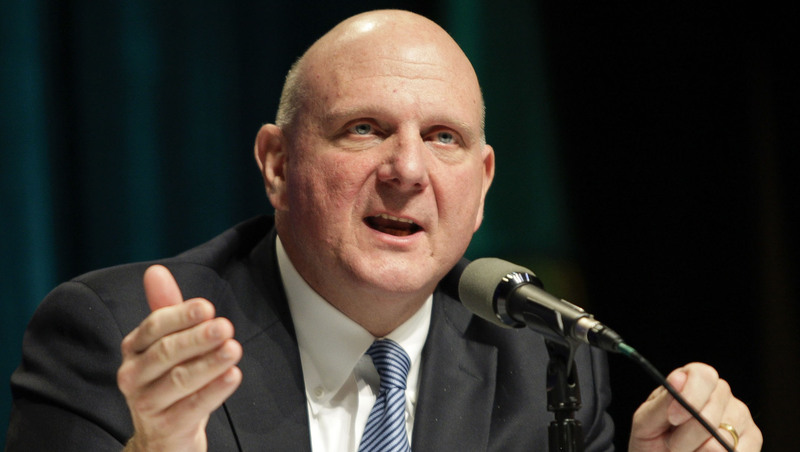 Ballmer wants to put all that in the past and focus the team on being "a great citizen in the community for a diverse set of folks," including the NBA's predominantly black players. Earlier, Ballmer hailed Clippers fans for remaining loyal to the franchise through what he called "some extraordinary times."